Music is a sheet of ice that extends across the ocean. Several people are chipping away with the back side of hammer to split and sever the ice. These are the remixers. Their clinking will travel across the ocean. But then, the ice cracks and a huge hole opens up. I fall through the ice into an underwater river that is carrying me to the far east. The water is cold, but I’m not cold. the horizontal crossbar*. This is the drama of the play. Who kidnapped Jesus and replaced him with this ornament wearing a robe? Suddenly, I have the urge to call Saul Williams. “Is your email still the same?” “I should call you.” I say to him, just after I call him. World. It’s the combination of the vertical line and the horizontal line. The horizontal line is yin. Yin is the place where life can take place. 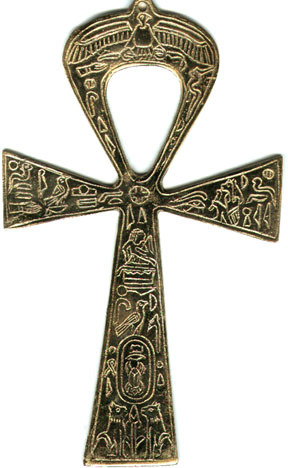 cross, or in the case of the ankh, the Tau, on which the circle sits.